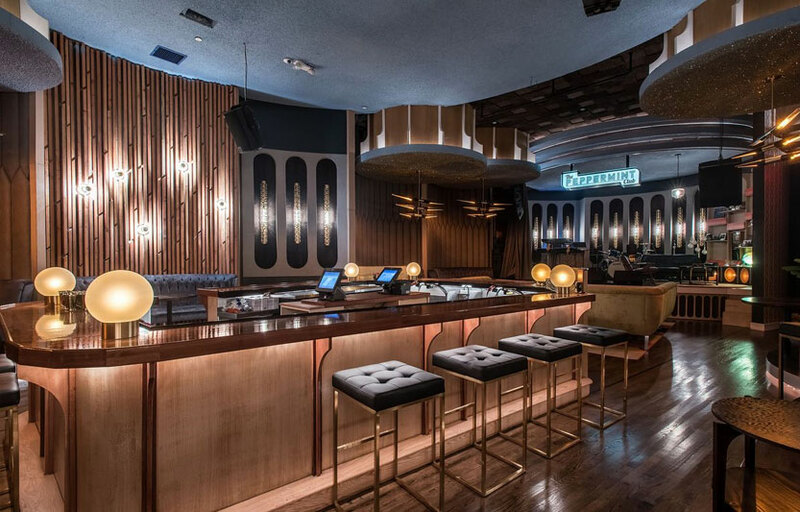 Step inside the newest surefire West Hollywood favorite The Peppermint Club, a multi-use space taking over for Henry’s that combines a lounge, bar, and nightlife venue all in one. The club opens tonight for all the world to see. The first thing you’ll notice about the h.wood Group’s collaboration project with Interscope Records is the John Sofio/Built, Inc. design. 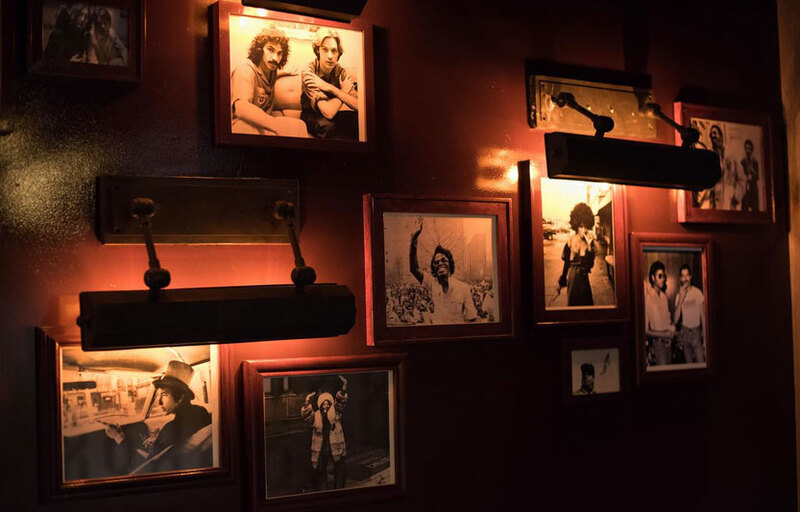 Full of throwback charm and truly old photographs and knick knacks, the Peppermint Club feels like a return to the big band party scene of days gone by. Funky lighting and low plush seating confirm the feel, while booths and a back bar offer easy drinking access. As previously mentioned, the focus here is on the music, with the stage situated front and center. That’s certainly the hook owners John Terzian and John Janick are looking for, though it helps that Adam Koral is turning out cocktails and there’s a small bites menu to match. If anything, the nightlife destination should act as a more intimate alternative to sky-high options nearby like the celebrity-stuffed Catch rooftop. John Sofio of Built, Inc. is behind the dark, inviting room, along with John Terzian. This venue is pretty small – it can probably fit about 100 people. Spazmatics (80’s cover band) for $5 cover on Sunday nights! This is a show-driven venue with a large stage, plus some intimate booths and open lounge seating to go along with the wraparound bar. As for food and drink expect cocktails in the $15 range, using everything from Absolut to Plymouth Gin to Jack Daniels single barrel. Adam Koral is behind the booze side of things, and will be overseeing the bar snack menu of panini sandwiches and other small bites. Where is Peppermint Club LA located? 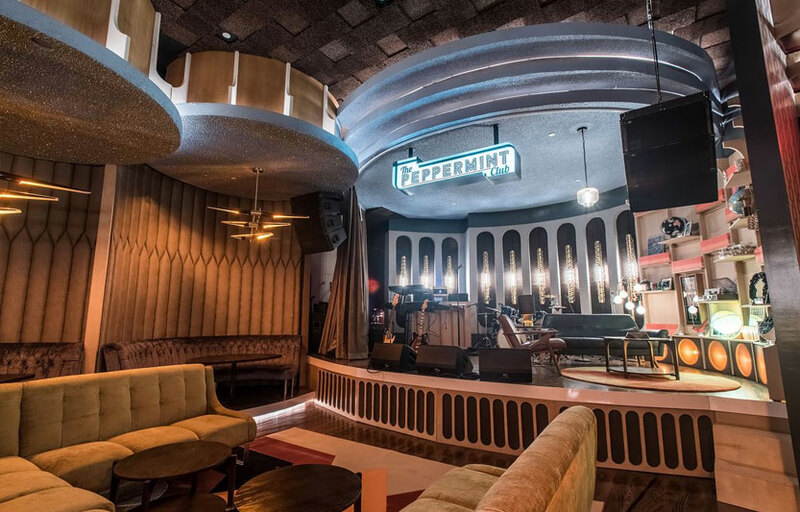 Peppermint Club is located in WeHo in the old Hoorray Henrys spot. 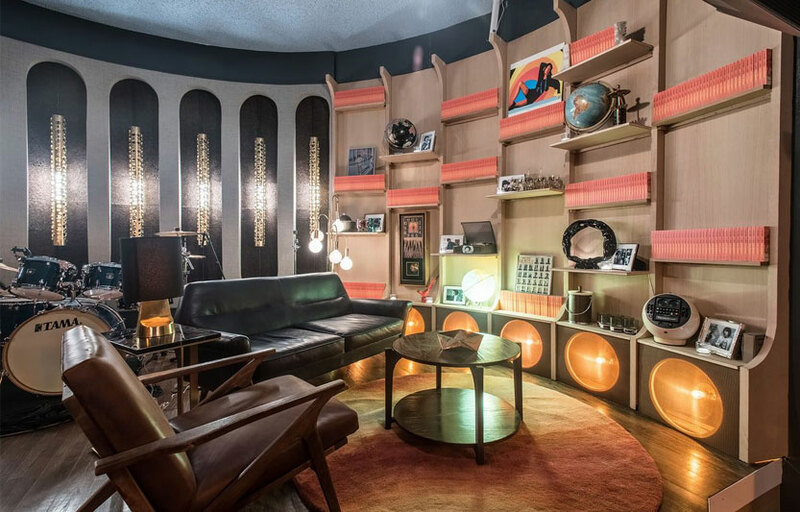 How much is cover charge at Peppermint Club? It depends on the night. Can range from $5 to 30+. How long will I have to wait at Peppermint Club? Expect to wait anywhere from 15-30 minutes. When is Peppermint Club open? Peppermint Club is open 9-2 AM Wednesday through Sundays. What are the best nights to go to Peppermint Club? All nights are good if you’re looking to get some live music! What is the dress code at Peppermint Club? Dress to impress! Collared shirt / jeans / dress shoes for guys. Avoid anything that can be considered sportswear (track jackets, jerseys, sneakers, hats, etc). How much do drinks cost at Peppermint Club? Expect cocktails in the $15 range. Bottles start at 400. What kind of music do they play at Peppermint Club? Peppermint Club features live music. Where can I find an list of upcoming events / DJs at Peppermint Club? You can download the Discotech app to see upcoming events, and book tables for Peppermint Club.